I will do what God wants me to do. I will give God what I cannot do. I will trust him no matter what. Like a well used suitcase, covered with pictures and scars from a lifetime of travel, everyone has a story that longs to be told. Each trip added a little for weight to the luggage, each destination another mark on the case. The material and dimensions of a piece of luggage determines how much that item will hold before breaking. Airlines limit the weight of each bag of luggage because they know the limits of their aircraft, too heavy and the plane will plummet. The human spirit is weight-rated as well, we are not designed to carry all the baggage life piles upon us alone. God gives us each other to share the load. This weekend magnified the importance of telling our story, regardless of how insignificant it may seem to the storyteller. 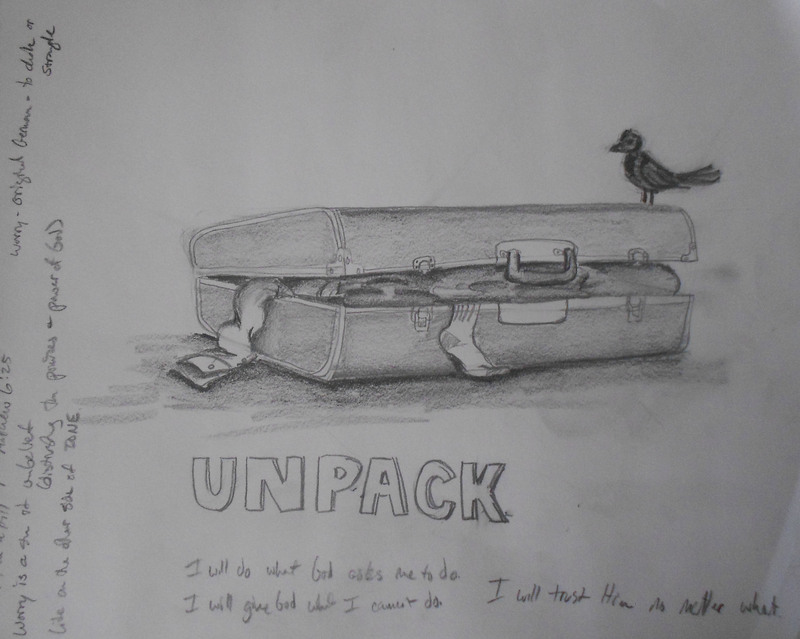 Unpack your bags, tell your story, because we’re living together on the other side of done.